The idea of turning the day after Thanksgiving (a.k.a. Black Friday) into the unofficial start of the Christmas shopping season can be traced to at least the late 1800s and early 1900s when retailers used promotional methods to attract customers to their stores. The most famous of these promotions is the Thanksgiving Day parade that several retailers introduced. While the most famous is the Macy’s parade, which started in 1924, the first retailer to use the parade as promotion was Philadelphia retailer Gimbles, whose parade was first run in 1920. 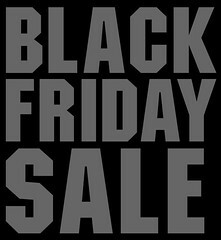 Despite these early promotions, it has only been within the last 30 years that Black Friday has evolved into the significant promotional event it is today. The evolution of Black Friday to being an important shopping day for many retailers has grown rapidly in that period. For instance, retailers would begin the Christmas shopping season by promoting an early opening on Black Friday, such as 6 am. But as we noted last year, Black Friday has now turned into a game of one-upmanship as retailers strive to be the first to open their doors to the masses. In the last 15 or so years retailers have continued to move up the starting time to the point where some retailers can’t wait until Friday. As discussed in this story, for Wal-Mart, Black Friday now begins on Thursday as they will be starting their promotional pricing at 8 pm on Thanksgiving night. The move is certainly not going to sit well with their competitors so look for other stores to match Wal-Mart’s earlier time. Hoping to curb shopper frustration that has marred some past Black Friday shopping, the world’s biggest retailer is also guaranteeing that shoppers in line at a certain time on Thanksgiving will get their hands on three hot deals for the holidays. In 10 years will Black Friday still be the crucial retail day that it is now?